Sometimes your shortcomings just smack you in the face. Like, for example, the other day when I told my kid, “you do you.” As soon as the words left my mouth I braced myself for her to repeat my snarky comment back to me but thankfully it kind of zipped right by her. Clearly, there’s always room for improvement when it comes to my mothering. There is one area in particular I know every mom can use some work in, because it’s one of my biggest struggles. I can be pretty hard on myself. 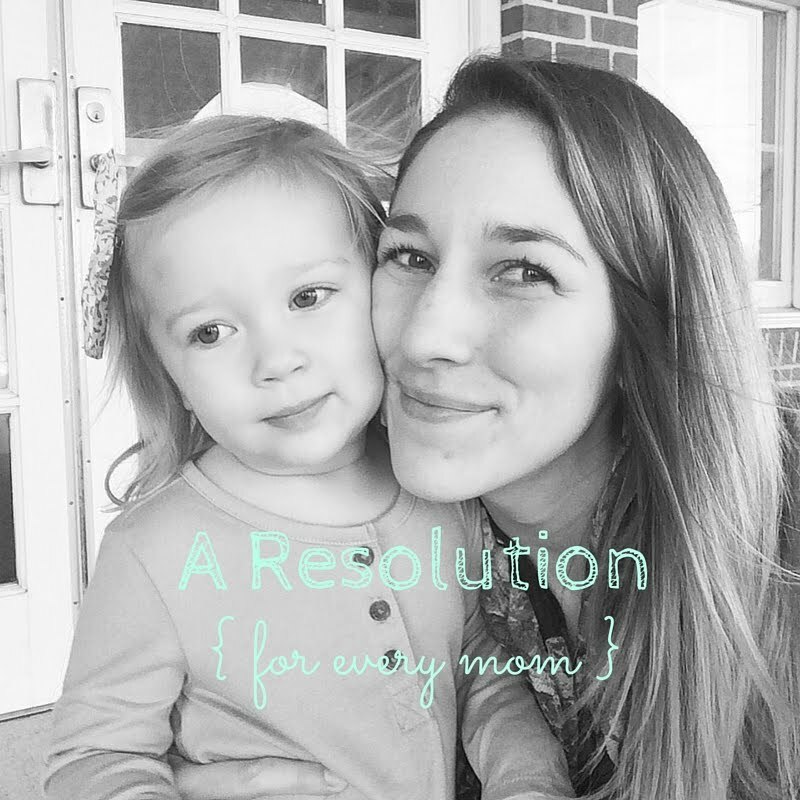 I’m still feeling out this motherhood role, and I want so badly to “get it right.” ALL THE TIME. I mean, we all do. But that’s just an unrealistic and unfair standard to hold ourselves to. So this year, I will be kind to myself. I will grant myself permission to not be perfect. I will focus more on my mom wins than my mom fails. I will speak truth and life over my daughter and myself, not words of negativity. I will brag on other moms and cheer them on rather than wasting time comparing and judging. I will be easy on myself as I inevitably approach a new stage of motherhood with new challenges. In the midst of that, I will be intentional to show myself grace, allow mess-ups, and forgive myself quickly. I will value what veteran moms have to say because I have so much to learn. I will teach my daughter that kindness has to be extended first to yourself before you can genuinely show it to others. When I’m struggling, I will not hesitate to ask for help or guidance. I will lean on my village. I will cultivate a sense of gratitude for this sweet season of life; motherhood has been so good to me. I will rest on the truth of what God says about me: I am a good mom, I am doing a good job, and this job matters SO MUCH. I will choose to believe that I am the best one for THIS specific job: mama to Aven. I will see my truest reflection not in my bathroom mirror, but in my heavenly Father’s kind eyes. Let’s be kind this year, okay? Starting with ourselves.